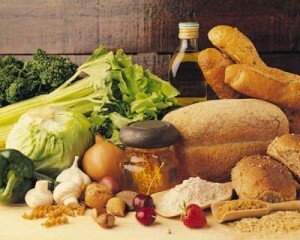 Carbohydrates both Simple Carbs and Complex Carbs are required by the body for various activities. 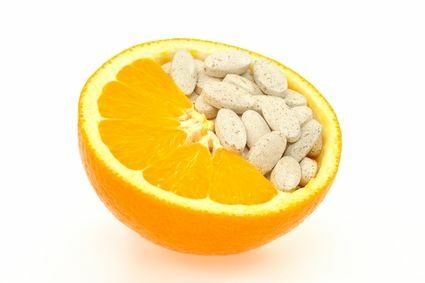 Most of the foods contains carbohydrates. About all fruits, vegetables, milk, seeds, pulses, grains, seeds contain carbohydrates. “Carbohydrates” get converted in glucose during digestion process and blood carries this glucose to all the parts where this glucose is converted into energy by cells. Insulin hormone is generated by the gland called pancreas in the body, which is responsible for managing the use of glucose by the cells in body. Glucose left over after required use by cells gets converted into glycogen. This glycogen gets stored in the fat in the body or in the liver. When you need energy, body release another hormone, called glucagon, which turns this glycogen into glucose and send it to body cells through the bloodstream. So, Carbs gets stored as glycogen but process is reversed when by requires energy. When body converts them to energy, the release of hormones by body may be slow or fast. The slower the process, more sustainable the energy supply and energy level will be. The faster the energy releasing process is, more unstable the energy level will be. This may lead to peaks and drops in sugar level in the blood. These “Carbohydrates” are mostly found in natural foods and are referred to as starchy foods. “Complex Carbs” breaks down slowly to provide sustainable long lasting energy. This type of carbs is much better for health in the long run. They are most commonly referred as sugars and can be found both in natural as well as refined form. Simple carbs provide immediate energy to the body but the energy level is irregular and inconsistent. Excess consumption these carbohydrates increases the blood sugar level. Carbohydrates & Health :- As per doctors, half of the energy we utilize on daily basis should come from Carbohydrates most of which should be starchy ones. Requirement of carbs in the body also varies with your age and work you do. Athletes, players and people doing hard physical jobs need more carbs than people with normal lifestyle. Always remember, whether you are consuming Simple Carbs or Complex Carbs, if you consume them in excess, you are more likely to gain weight because they get converted to fats. So, your diet should be a proper balance of proteins and “carbs”. Try to replace simple carbs with complex carbohydrates by adding foods like potato, brown rice and wholemeal bread along with green leafy vegetables and fruits. This will not only provide you good fibers but also a proper balance of simple carbs and complex carbs.